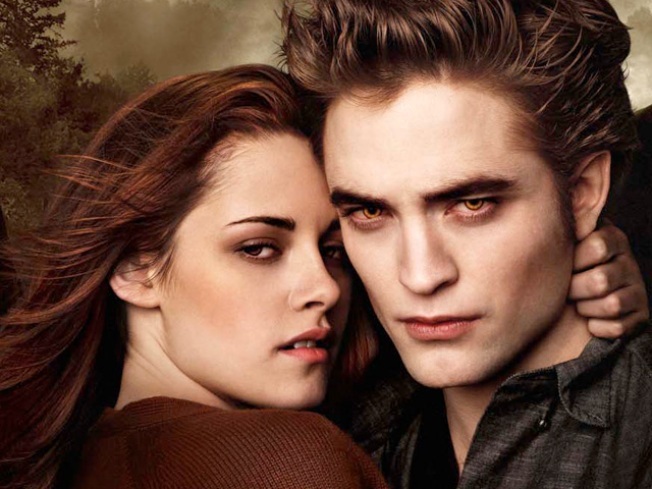 Nominees for the People's Choice Awards are out, and the people choose vampires. "Twilight" and "True Blood" were among the top nominees announced Tuesday. Fans cast more than 18 million votes online to select the nominee slate and will also choose the winners in 35 categories. "Twilight" is up for favorite movie, franchise and on-screen team for its trio of stars: Kristen Stewart, Robert Pattinson and Taylor Lautner. Stewart and Pattinson were also nominated individually for favorite movie actress and actor, and Lautner is up for breakout movie actor. "True Blood" was nominated for favorite TV obsession and sci-fi/fantasy TV show, plus star Anna Paquin earned a nod for TV drama actress. Fans can vote for their favorites online at http://www.peopleschoice.com. Queen Latifah is set to host the People's Choice Awards at the Nokia Theatre. The ceremony will be broadcast live on CBS on Jan. 6, 2010. TV drama: "CSI: Crime Scene Investigation," ''Grey's Anatomy," ''House," ''Lost," ''NCIS." TV comedy: "Desperate Housewives," ''How I Met Your Mother," ''The Big Bang Theory," ''The Office," ''Two and a Half Men." TV obsession: "Dexter," ''Gossip Girl," ''The Hills," ''The Secret Life of the American Teenager," ''True Blood." TV talk show: "Chelsea Lately," ''Live with Regis&Kelly," ''The Ellen DeGeneres Show," ''The Oprah Winfrey Show," ''The Tyra Banks Show." TV sci-fi/fantasy: "Heroes," ''Lost," ''Supernatural," ''The Vampire Diaries," ''True Blood." TV competition show: "American Idol," ''Dancing With the Stars," ''Project Runway," ''So You Think You Can Dance," ''Survivor: Samoa." Animal show: "Animal Cops," ''DogTown," ''Dog Whisperer," ''It's Me or the Dog," ''Rescue Ink." New TV drama: "Eastwick," ''FlashForward," ''Melrose Place," ''Mercy," ''The Forgotten," ''The Good Wife," ''The Vampire Diaries," ''Three Rivers," ''NCIS: Los Angeles," ''V." New TV comedy: "Accidentally on Purpose," ''Brothers," ''Community," ''Cougar Town," ''Glee," ''Hank," ''The Cleveland Show," ''The Middle," ''Modern Family." Movie actor: Brad Pitt, Hugh Jackman, JohnnyDepp, Robert Pattinson, Ryan Reynolds. On-screen team: Daniel Radcliffe, Rupert Grint and Emma Watson, "Harry Potter and the Half-Blood Prince"; Sandra Bullock and Ryan Reynolds, "The Proposal"; Robert Pattinson, Kristen Stewart and Taylor Lautner, "The Twilight Saga"; Shia LaBeouf and Megan Fox, "Transformers: Revenge of the Fallen"; Hugh Jackman, Liev Schreiber, Ryan Reynolds, will.i.am, Dominic Monaghan and Daniel Henney, "X-Men Origins: Wolverine." Family movie: "Hannah Montana: The Movie," ''Ice Age: Dawn of the Dinosaurs," ''Night at the Museum: Battle of the Smithsonian," ''Up," ''Where the Wild Things Are." Independent movie: "(500) Days of Summer," ''District 9," ''Inglourious Basterds," ''Paranormal Activity," ''Tyler Perry's Madea Goes to Jail." Franchise: "Harry Potter," ''Star Trek," ''The Twilight Saga," ''Transformers," ''X-Men." Comedy movie: "17 Again," ''Bride Wars," ''He's Just Not That Into You," ''The Hangover," ''The Proposal." Favorite movie: "Harry Potter and the Half-Blood Prince," ''Star Trek," ''The Hangover," ''The Proposal," ''Twilight." Hip-hop artist: Eminem, Flo Rida, Jay-Z, Lil' Wayne, T.I. Music collaboration: Cobra Starship&Leighton Meester, "Good Girls Go Bad"; Jason Mraz&Colbie Caillat, "Lucky"; Jay-Z, Rihanna&Kanye West, "Run This Town"; T.I.&Rihanna, "Live Your Life"; The Lonely Island&T-Pain, "I'm on a Boat."